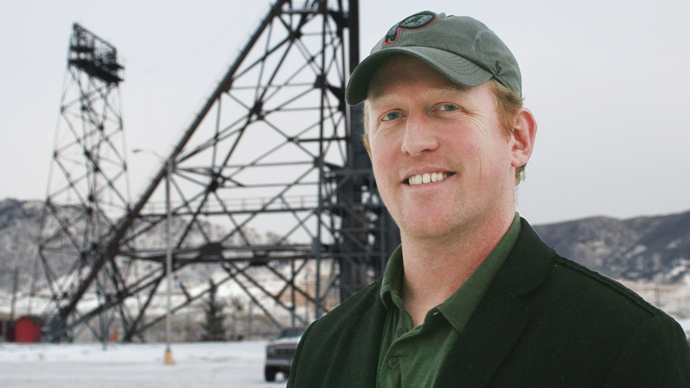 A conservative group is reportedly offering fundraiser contributors to spend a weekend with Robert O’Neill, the ex-Navy SEAL credited with killing Osama Bin Laden. The price tag for sharing ‘machine gun fun’ at a shooting range with him is $50,000. The event organized by ForAmerica would take place sometime in July at the Amangani Resort Hotel in Jackson Hole, Wyoming, the Washington Post reported. It is billed as “a historic weekend honoring Navy SEAL hero Robert O’Neill” and will include shooting at a gun range run by the Jackson Hole Shooting Experience, a private company nearby. “Our event will consist of clay, pistol and ‘machine gun fun’ competitions with Rob O’Neill,” documents for the fundraiser say. A spokesman for O’Neill told the Post he agreed to participate in the event “as a favor to a friend who has been helping him out,” without elaborating. ForAmerica, a group founded in 2009 by conservative commentator Brent Bozell, did not respond to a request for comment. The group raised nearly $4.9 million in 2012 and $2.5 million in 2013, according to tax documents. O’Neill retired from the military in 2012 after hundreds of combat missions, including the May 2011 raid in Pakistan that killed Al-Qaeda leader Osama Bin Laden. He took credit for taking several headshots that killed the notorious terrorist, who is believed to be responsible for the September 2001 attacks in the US, in 2014. He has since launched a charity devoted to helping Special Operations veterans to adapt to civilian lives.